The Count counts hellos from everyone on Sesame Street, and the gang decides what to name the large Muppet dog: Barkley or Woof-Woof? Sponsored by D, 2. 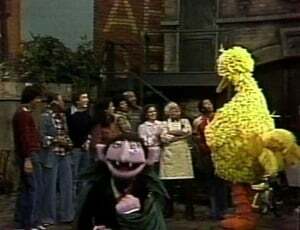 Bob and Big Bird try to train Barkley. Sponsored by D, R, 3. Sponsored by R, T, 4. David teaches Barkley to roll over. Sponsored by B, T, 5. Biff and Sully dig a subway tunnel. Sponsored by B, P, 6. Big Bird redecorates his nest. Sponsored by C, J, 7. Sponsored by J, S, 8. Sponsored by S, X, 9. Big Bird and Snuffy enact fairy tales. Sponsored by G, X, 4. Oscar's friend Georgie visits. Sponsored by G, Q, 11. Mumford fills Oscar's trash can. Sponsored by I, Q, 12. Bob tells Oscar not to litter. Sponsored by I, U, 2. Brad's baby teeth. Sponsored by E, F, 3. Big Bird takes a telephone message for Olivia. Sponsored by E, O, 4. Sponsored by F, M, 5. The Count counts and sorts items at Hooper's Store. Sponsored by L, W, 6. Big Bird prepares a tortilla for Luis's lunch. Sponsored by B, F, 6. Bob practices conducting an orchestra. Sponsored by H, K, 8. Mr. Hooper tries to exercise Sponsored by D, T, 2. Linda signs the weather report for Oscar. Sponsored by D, T, 2. 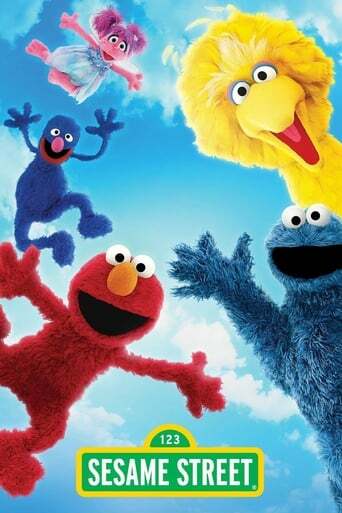 A TV-addicted Telly Monster moves to Sesame Street. Cookie eats his way through an avalance as train conductor "Casey McFee". The Count sings "The Song of the Count". Kermit reports on Sleeping Beauty for Sesame Street News". Plus the Harvey Kneeslapper skit. Big Bird and Snuffy hit the dance floor and groove to a disco version of "Rubber Ducky". Guy Smiley and Cookie Monster appear in the classic "Beat the Time" skit. Grover sings about the letter "I". Bob and Big Bird encounter a dragon in New York's Chinatown. Ernie's opera singing wakes the neighbors. Harry Monster visits the eye doctor and an animated version of "We All Live in a Capital I". Grover serves up burgers of all sizes. Bert and Ernie ransack their own apartment. Ernie tricks Bert out of a bigger piece of pie. Biff helps Salvador DaDa create a museum. Plus the Twiddlebugs, pinball animation and a live-action feature about recycling paper.